…at least it does for me. There were no hangdog looks from me when my kids announced they were having Thanksgiving at their partner’s parent’s home; I’ve reinvented my Thanksgiving tradition to fall the Sunday prior to Thanksgiving. With grown kids in relationships (which mean new families with their own holiday traditions), celebrating the Sunday prior to Thanksgiving is the only way we can get everyone under one roof. 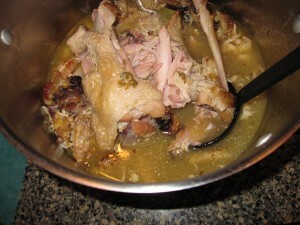 I make my own stock with turkey wings, necks and legs available at many groceries a few weeks prior to Thanksgiving. 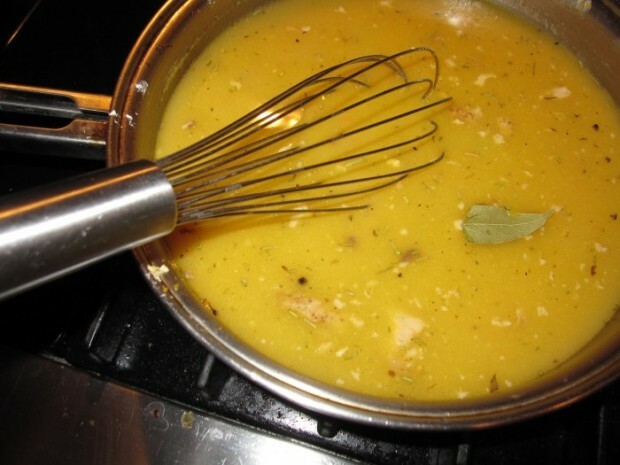 To save time, your gravy will be fine using pre-made turkey or chicken stock. So I’ve made my plan of attack, and it begins with gravy – the importance of which can never be underestimated. It lends moisture and flavor to turkey (which, if mishandled, can be bland and dry) and imagine a bowl of fluffy white mashed potatoes without a gravy boat by their side. I tell you what they’d be: shamefully naked – disgraced. I always make my gravy several days in advance; there’s entirely too much action involved getting the food on the table to make a last minute gravy. So I make this base several days in advance, then stir in turkey drippings at the last minute. Sautéed mushrooms and/or giblets are another tasty niblets you may add. Here are the other recipes I’ve inserted into my Turkey-Day Count-Down spreadsheet; click the gold Holiday Cookbook ball icon (on your right and up) for a plethora of well-tested recipes, I’ve made through the years, some which can be made in minutes. In food processor, pulse carrot until chopped into small pieces but not puréed. Remove and reserve. Repeat the process with celery and onions or leeks. Heat 1/4 cup butter in large heavy-bottomed saucepan over medium-high heat. When foaming subsides, add vegetables and sauté with a pinch of kosher salt, stirring frequently until softened and well browned, about 6 minutes. Reduce heat to medium. Stir in flour and cook, whisking constantly, until lightly browned and fragrant, about 4 minutes. Whisking constantly, gradually add chicken or beef stock. Bring to boil, removing any small burnt bits that may form on pan. Reduce heat to medium-low and add bay leaf, rosemary and peppercorns. Simmer, stirring occasionally until thickened and reduced to 3 cups, about 20 minutes. 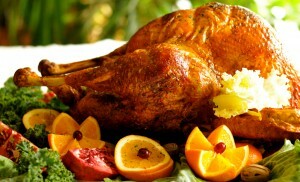 Reheat gravy, if refrigerated, whisk in turkey pan juices and serve. *Turkey wings are available at most groceries well in advance of Thanksgiving. You may prefer to make homemade stock for the gravy. If so, roast 4 turkey wings in a 400˚ oven with onions on top 60 to 90 minutes until golden brown. Place in stock pot with dripping and add at least 6 cups of water to cover. Bring to a boil, reduce heat and simmer, uncovered, 1 1/2 hours. Strain before using as stock. Awwww, Yenta Mary. What a sweet message – it’s just a day and it’s more than “just” a family! Happy Thanksgiving to you!